There is a great weekly challenge over at my friend Amy's blog, Scrappin N Style. This weeks challenge is NEON with a little something sweet! Well here is a quick little card I made that hopefully fits the bill. 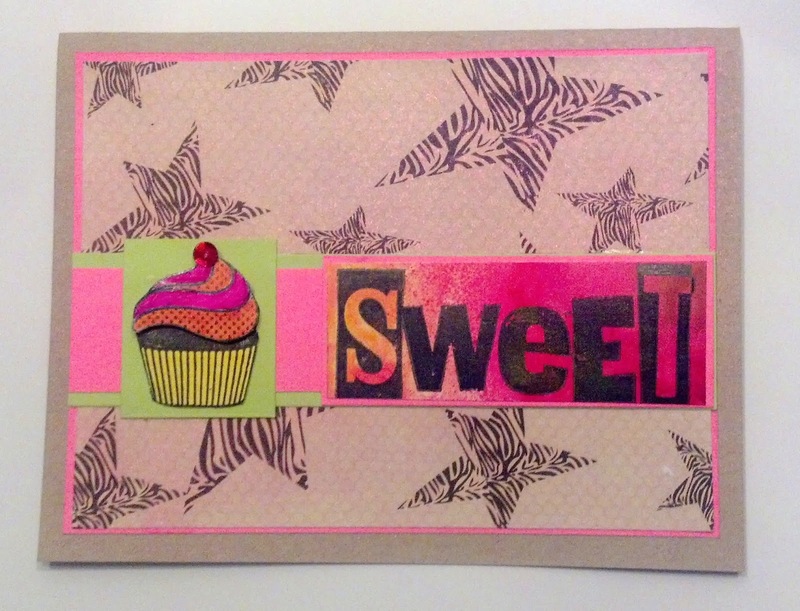 Kraft, neon pink and green cardstock, with some Prima printed cardstock. I also used the new dylusions color sprays (fabulous!) and a bit of pink gumball perfect pearls spray (although it doesn't show well in this picture). Any way, here is my contribution to the Sweet Neon craze! Thanks Amy! Love the kraft and the neon. And you did zebra my fav! Love the card Saun. Had a blast playing around with the neon and funky patterns! Totally sweet and neon!! Awesome! Left you some "sugah" on Amy's blog (since we are talkin' sweet stuff!) Ha!